Everything has changed after that disaster. 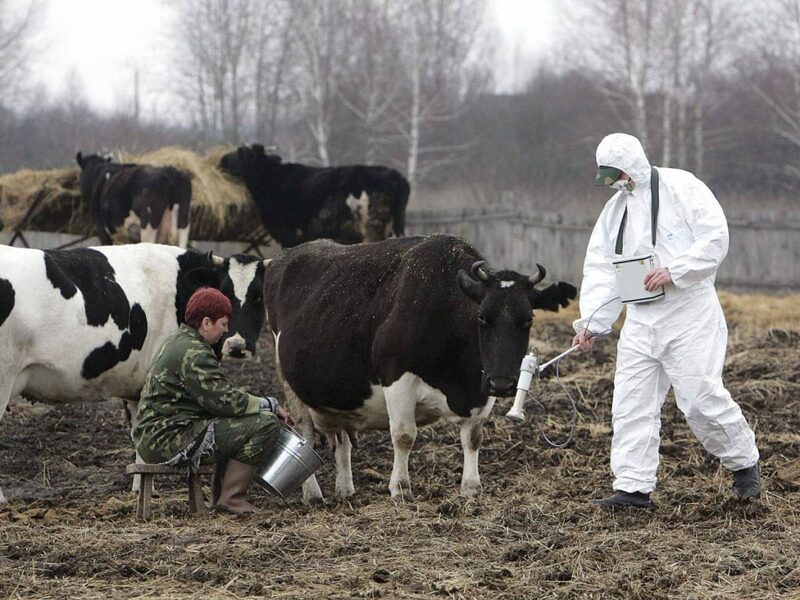 Not only in Pripjať – the city of the plant workers, in Ukraine and Belarus’ Chernobyl area at the borders, but also in the whole world; including animals and plants. Impact of radiation is still huge and its results give us a completely new overlook of “human power” over our planet. Many organizations, scientists and individuals are still doing researches about this nuclear disaster, about days and life that came after it. They are trying to illuminate some parts, which were not shown to the public back in 1980’s. As the last month of 30th explosion anniversary was approaching us, we have been contacted by Greenpeace Slovensko. 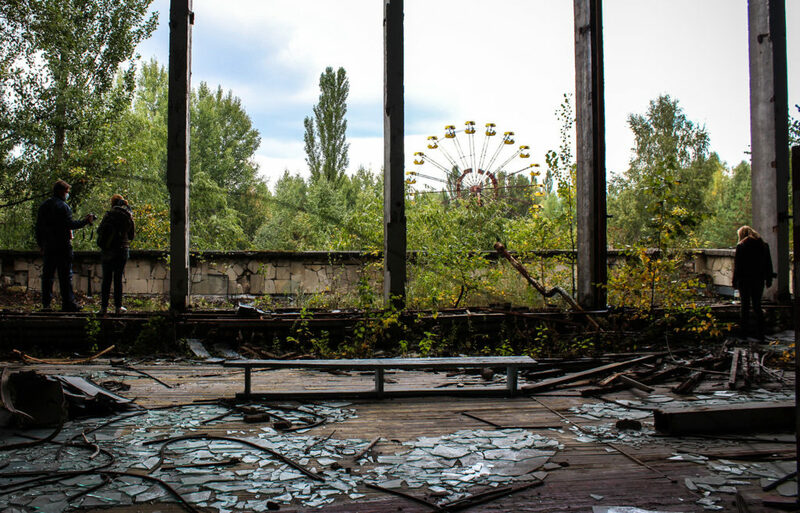 Together we put one more bit into the Chernobyl catastrophe mosaic. Together, we have been working on an interactive map. This map shows us the explosion afflicted area around Chernobyl nuclear plant and Pripjať city. This area, approx. 30km wide, highlighted in red and possible to see on the left half of the map, also known as The Exclusion zone or The Zone, is where to live means to struggle. The Zone on the right map is interactive, allowing you to pan and zoom wherever you want to see the impact of the nuclear disaster, if it happens nowadays. And yet there is something that can surprise us in a positive way. It has come to the point when the nature has won over people. Many studies show that the number of The Exclusion area species almost on extinction are rising up. “The lack of people has turned the area into a surprising sanctuary for wildlife that have flourished in the abandoned region, but scientists aren’t sure what the radiation will do to the wildlife population” (Aden, Josh; All Day online magazine). 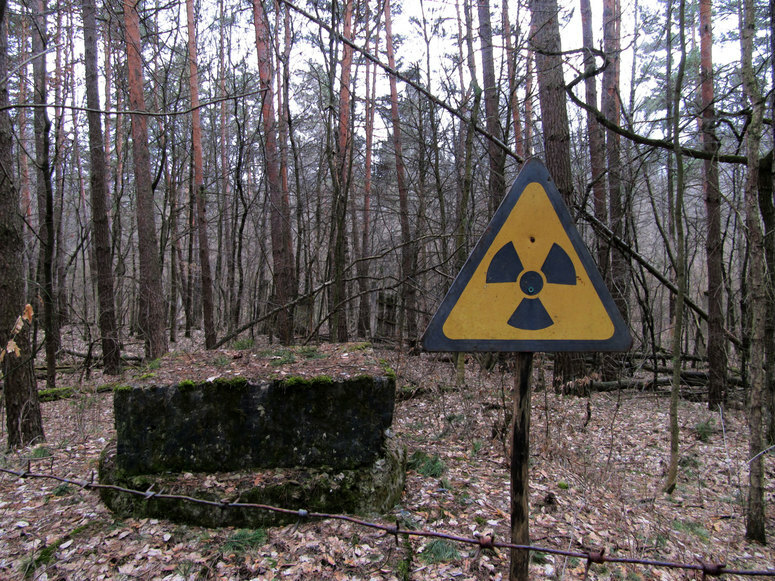 The radiation level is regularly monitored by government because of not more than 200 people still living in the area. The Zone is also slowly popularized and the tourism grows there year by year. Some areas are still strictly prohibited for all individuals to visit. People who had once lived there would like to return back. How possible is that dream no one really knows. The 26th of April 1986; a day to remember.